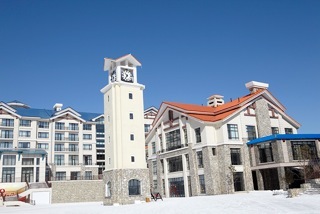 September 27, 2011: Club Med's Yabuli ski resort in China is offering a sensational half price deal for the 2nd adult when booking an all-inclusive 5 night package to the chic mountain ski resort in Heilongjiang Province, north eastern China. "Australians are now seeking new ski fields with reliable snow, and travel and cultural experiences to complement great powder, and they are turning to China as a new destination, often teaming the snow with the city - either the bright lights of Shanghai, the history of Beijing or the winter ice festival and its activities of Harbin," according to Quentin Briard, General Manager for Club Med Australia. The Resort offers 18 ski runs including 5 newly-opened blue slopes for intermediate skiers. The Resort is also equipped with the first new magic carpet at the top of the mountain, which enables even beginners to ski at the top of the mountain, overlooking the spectacular view of the mountains. Club Med is renowned for its fine cuisine created by its team of talented chefs. There are three restaurants -- the Apple Garden serves an international buffet with a wide regional menu (Shanghai, Beijing, Cantonese, Sichuan and Heilongjiang cuisine on rotation); Mudan, offers hotpot specialities and light supper, while Bianco brings western specialties. Throughout the day, guests can also enjoy the 'Open Bar & Snacking' at the Forest Bar, which offers unlimited complimentary soft drinks, fruit juices, spirits, cocktails, wine and snacks, as and when they like. Apres-ski there's activities aplenty too. A heated swimming pool, outdoor Jacuzzi, yoga, aerobics, indoor flying trapeze, bungee bounce, billiards and karaoke rooms offer great choices. Guests can also enjoy horse sled*, dog sled*, Alpine slide* and snow tubing facilities*. 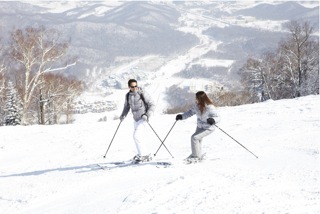 Starting from Dec 2011, advanced level guests can also ski in the Heilongjiang Provincial Sports Bureau Yabuli ski field*. The newly introduced excursion to the China Tiger zoo*and the Harbin Ice Sculpture Festival* which begins on Jan 5, 2012, are a must-see too. Adults from $1300 for the first adult, and $750 for the 2nd adult (twin share, and children 4-11 from $580 for 5 night stay. 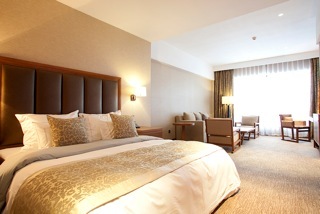 Choose to upgrade to a deluxe room or suite at extra cost. Prices are for land only, and include transfers from Harbin to Yabuli, and Club Med membership, but do not include airfares in price.